All valuations are undertaken by a director of the business, taking into account the intricacies of the current market whilst using relevant comparables and years of practical experience. We will always offer a realistic valuation based on each client’s individual needs and motivations, detailing different strategies and achievable values for each scenario to ensure the best possible service and outcome. At this stage we can also advise the steps required in order to market, and arrange an EPC for you free of charge for all sole agency instructions. We never discount the effectiveness of a personal approach, but in addition we offer a huge number of outlets to showcase your property to the widest possible audience. In addition to our website, we advertise using Zoopla, PrimeLocation, Rightmove, numerous other ‘small’ and International Portals, our Facebook page, Twitter feed and Google optimisation, which includes individual bespoke AdWords campaigns for featured properties. We also have a network of overseas agents, international relocation companies, lifestyle organisations and professional referrers who have been individually selected for their ability to bring the calibre of purchaser and tenant suited to clients of Prime London. We are able to offer a referral network based on quality and service, not corporate tie-ins! All of our service providers have been tried and tested over many years, removing the risk and stress from functions within a property sale or letting. We can offer referrals in the following areas: - Solicitors, Surveyors, Mortgage Brokers/Financiers, Interior Designers, Removals Services and Builders/Maintenance/Decoration without obligation. Prime London monitor and progress the legal and practical process of every sale for our clients, regardless of timescale or value. Transactions are needlessly delayed by inefficiencies between solicitors and delays obtaining legal documentation. Prime London chase and often provide required documents (from our amassed dossier) and update you on the position of the sale as regularly as you determine. We will then meet with your buyer on completion to ensure no last minute issues, ensuring the transaction finalises successfully to reflect the entire process. Prime London delegate a specific Portfolio Team member to each client, giving you one point of contact with full knowledge of your property. Your Portfolio Manager will conduct the referencing, compliance checks and paperwork for your move-in, and then deal with any maintenance or tenant-related queries so that there is no break in communication regarding your property. This not only gives security to you as our client, but also to your tenants who with the personal service and understanding are likely to remain for longer in their tenancy. Prime London cover a wide range of high quality properties for rent in Central London. Our renowned Property Portfolio Team ensure all properties are kept in the best possible condition, allowing trouble-free and enjoyable tenancies in London’s finest locations. Prime London are approved by and secure deposits through MyDeposits for the assurance of all tenants and landlords. All properties undergo a pre-tenancy check by our experienced staff to your tenancy on the right footing.  We are on hand throughout, as the vast majority of our landlord clients utilise our Full Management Service to enable speedy and effective service to their tenants. For all lettings we offer an all-inclusive fee covering referencing, contract and move-in necessities to the point of move in for £180 per person (incl VAT). The Check Inventory and Report is paid for by the landlord, with the Check Out Inventory and Report being paid for by the tenant. There are no renewal, MOA or other fees paid to us by existing tenants once a tenancy has commenced.